Article 19 has hailed the change of power in The Gambia, saying it is finally bringing ‘democracy and human rights’ that has eluded Gambians under the former dictator Yahya Jammeh’s government. The executive director of the organisation setup to defend the right to freedom of expression, also defined the Gambia as a “shining light and an opportunity for change” in a year 2016 which was not very progressive for democracy and human rights in the whole world. 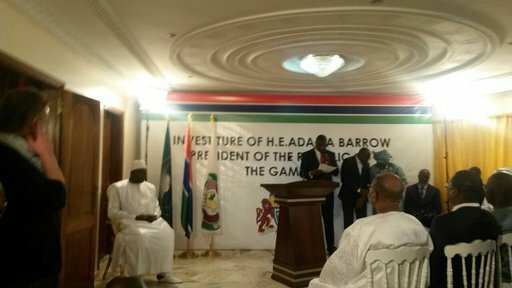 “…and the way that Ecowas and the West African community supported The Gambia is really wonderful,” Mr Thomas Hughes said yesterday. He added: “I hope this is part of a long term era where West Africa is going to thrive and fresh freedom will thrive.” He rushed to sound the need for government to engage with the Gambian media community. “They need to engage with civil society more broadly. They need to listen to the concerns that are being expressed about the legal framework that exists and has been used wrongly in the past. And they also need to work through the process of identifying reforms that are required and then to implement those reforms through the proper processes, through parliament. He urged the government to respect cases of those journalists that reached the Ecowas court and to implement the rulings of that court. Hughes said these are the messages he intends to convey to the government and they are messages he said, they [government] intend to work on. Hughes who also met with President Barrow, the vice-president and Justice Minister, said his orgnisation is here to listen to their Gambian partners on the ground. “We are here to understand how Article 19 can play a constructive role and support those partners. And to try and understand what we will be doing in the months and years ahead to make sure this is a successful transition period.